Saakshi Kale has outdone herself in writing up the post for the Encouraging Thunder Award #1 and the Quote Challenge. 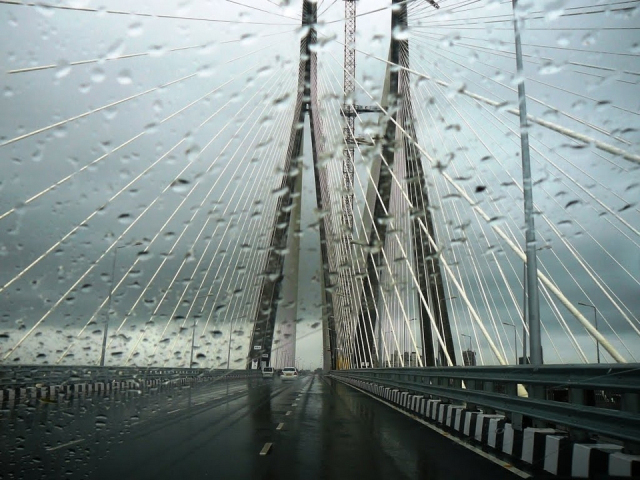 She starts with her own powerful “thunderbolt” poem, and then shares her love of monsoons, dark skies, the “pitter-patter” of raindrops, and crossing a bridge of wonder in Mumbai, India, where she lives. Her Quote Challenge of five quotes is filled with passion. She writes, “There’s an energy and vigor about them so incomprehensible that they leave me feeling like I’ve just tumbled out of a tornado.” That’s final proof…Saakshi Kale has a thunderbolt voice! thun·der – shout, call out, cry, yell, roar, chant, rage, bellow. A loud rumbling or crashing noise heard after a lightning flash. A thunderclap, peal of thunder, roll of thunder, rumble of thunder, crack of thunder, crash of thunder, literally – thunderbolt. 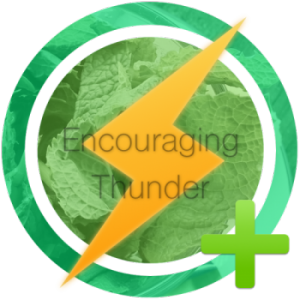 The Encouraging Thunder Award is given out to each one of you to encourage life; to make your own thunder, to make sure your thunder is loud enough for others to hear. The very word thunder is powerful and strong. It is a symbol of your own booming voice, your own crack of lightning, and your own thunderbolt presence in the universe. There will be no specific nominees. I’ll share this award with each one of you reading this who wants to take it and display it proudly on your own blog. It would be a symbol to all that you’re proud, you’re loud, and you’re strong in the face of all life’s pleasures and adversities. May your rumble of thunder roll on! May a shout, call out, and thunderclap applause go out to all of you. The Rules: If you so choose! Post it on your blog. Grant other bloggers the award. What you cannot do: Abuse or misuse the logo. Claim that it is your own handmade logo. What you should do after receiving the Encouraging Thunder Award: Enjoy the award! At least give thanks via comments, likes and/or mentioning the blog that you received the award from. I’m writing two nonfiction memoirs, Phyllis & Albie, and Happily Ever After. The blog site, Before Sundown is a place to post chapters of the books, and to get valuable feedback from blog followers. The site did expand to include other categories such as Featured Friends, Photo Galleries, and other fun things. I love to support, promote, and showcase peoples’ accomplishments and photographs. Blogging keeps me writing, and connected with other creative, interesting worldwide bloggers. Picture thousands of words and punctuation marks crammed into that creative thinking spot midway between the right and left brain just waiting to find space on paper, and do their happy dance in blog posts, and in those finished books! Post a favorite quote each day for three days. Nominate three bloggers with each post to challenge them. Don’t forget to say a thankful word to the person who nominated you. Again, no specific nominees…any one can participate in this. I’ll start with my favorite, fun thinking written quote, and then (all at one time) quote signs in a gallery! Inspirational! Some just for writers! This entry was posted in Awards, My Blog, My Entries and tagged Encourages life, Encouraging Thunder Award, Favorite quotes, Fun thinking, Inspirational for writers, Make your own thunder, Powerful and strong, Purpose in blogging, Quote Challenge, Thunderbolt presence in the universe. Bookmark the permalink. Beautiful quotes Christine – I especially love the Kahlil Gilbran 🙂 Hope your book writing is going well. Wow. What a collection of quotes! Love them all, but especially, “Don’t look back, you’re not going that way…” Also, that is an awesome pic on the bridge! Congrats, Christine — and well done! :D. Mega hugs my friend. You’re too kind, Christine. The serial will still be there when you get to it. If you’ve missed several, remember there’s a “Category” link to click on the right of the screen — scroll down. And there’s the serial’s homepage link at the top of the page. Aw, you are too generous with your compliments 🙂 thank you for all of them. And it is great that you’ve left the award open to everyone! WordPress is the sky for us thunderbirds. Awww…thanks Nicholas! Always want to support & promote my younger (teenage & YA) nominators. They are the voices of the future, worldwide.